Zhu Zhu Pet Recall Is A Scam? 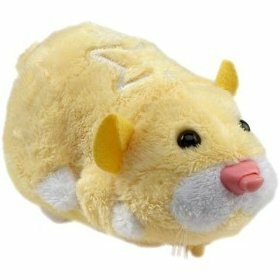 I have yet to see one of these things, or have one of my kids ask for one, but Zhu Zhu Pets are the undisputed hot toy of the year.? They are flying off the shelves like Cabbage Patch dolls and Rubik’s Cube back in my day. Now, there is talk of a safety concern about Zhu Zhu Pets.? And there is even a rumor that there may be a recall of Zhu Zhu Pets soon.? Right before Christmas! Well, SuburbanDaddy has his own theory about this brewing scandal.? You know how I love a good controversy or conspiracy theory. We all know how crazed parents can get during the holidays, trying to find a sold out toy to give their kids for Christmas or Hanukkah.? Politely give up your parking space at the toy store?? Are you kidding?? That’s one more person who will get to the toys before you.? There was a movie made about just this scenario with Arnold Schwarzenegger	called Jingle All The Way. That’s why I’m thinking there is a crazed parent behind all this talk of a recall and unsafe toys.? What better way for a parent to be able to find a Zhu Zhu Pet than to start a rumor about a recall?? All of a sudden there will be parents trying to unload their toys before Christmas faster than the executives at Enron dumped their company stock. Posted on December 7, 2009 December 7, 2009 Categories current events, parents today, ridiculous recalls4 Comments on Zhu Zhu Pet Recall Is A Scam? I wouldn’t be surprised if this is the next class of products to be infected with recall-itis. Studies have shown that antibacterial soap is no better than regular soap and water when it comes to stopping bacterial growth. And, they could lead to super germs that are resistant to antibiotics. A ban on antibacterial products would be huge. But what I’m more concerned about are these super germs. We have every antibacterial product you could imagine – soaps, wipes, toys – so my house is probably ground zero for super germs. 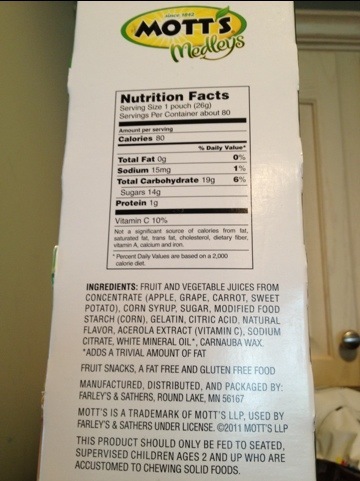 Posted on November 26, 2007 Categories ridiculous recalls1 Comment on Recall Antibacterial Soap? Here’s another in the category of ridiculous product recalls. H&M stores voluntarily stopped selling a pair of water shoes because, get this, water makes them slippery. There have been no reports of injuries but H&M felt compelled to remove them anyway. Want to make some easy money? Get a pair of these shoes, run outside when it’s raining, and then sue H&M for big bucks for not telling you water makes the ground slippery. Bumbo Chair Recall. Are We Going Too Far? News yesterday of yet another child product recall, this time for the Bumbo chair. We’ve used the Bumbo chair for years and it is a great product. It allows babies to sit up before they can do it themselves. Thing 3 loves to sit in his Bumbo and watch his brothers play. It’s like he’s one of the big boys. The reason for the recall is not due to some product defect. Rather, it is due to misuse, and frankly, lack of common sense on the part of some parents. While the Bumbo is good for keeping babies “stuck” in the chair, it isn’t fool proof, and babies can sometimes get loose. It clearly says this when you buy the product. Not to make light of serious injuries which have occurred, but it seems obvious not to put a Bumbo on a table or counter, or anywhere the baby could get hurt if he falls out. If you put the Bumbo on a carpeted floor, the baby won’t get hurt when he falls out. So the company will now put large warning labels on the Bumbo, saying not to place on surfaces where the baby would get hurt if he falls out. They even published a gallery of videos showing safe use of the Bumbo. Isn’t this a little extreme? I mean, do parents really need to be told not to do stupid things? Should soccer balls come with a warning not to play with them near traffic? Should bikes come with a warning that you can fall off them? There aren’t any toys which, if misused, can’t cause some harm. Do parents really need to be warned about every one? Posted on October 26, 2007 October 29, 2007 Categories parents today, products I like, rants, ridiculous recalls15 Comments on Bumbo Chair Recall. Are We Going Too Far?